During H.P. 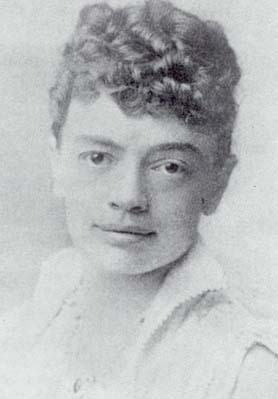 Blavatsky’s lifetime, William Quan Judge and Damodar K. Mavalankar were just about the only prominent Theosophists who knew and understood the real HPB; who consciously and accurately perceived who and what she really was. Of course HPB never permitted anything of this nature to be publicly stated or printed while she was still alive, as it would only have resulted in even more ridicule and criticism being poured upon the Theosophical Movement by its many opponents and enemies. Much of the time she described herself as being merely “a poor old woman who knows very little” or words to that effect. But Mr Judge, Damodar, and perhaps a few others knew the facts because they had earned the right. The Theosophical Movement was founded in 1875. Significantly, the period 1875-1900 marked the intersection of three great cycles for humanity. Not only was it the regular “centennial attempt,” first initiated by the great Tsong Kha-pa, when in the last quarter of every century an effort is made by the Brotherhood of Adepts to bring about a further spiritual awakening of the human race, but it also coincided with the close of the first 5,000 years of the Kali Yuga as well as the closing – astronomically and astrologically – of the “Old Age” of Pisces and the gradual dawning of the New Age of Aquarius. According to HPB and the Masters, the year 1900 would mark the opening of the Aquarian Cycle. Such a serious and vitally important intersection of occult cycles only occurs once in every several thousand years. The realisation of this fact alone should readily indicate the truly great nature and high spiritual status of the one sent by the Masters as their Messenger and Direct Agent at such a time. To suppose that at such a crucial moment they would select and send a bumbling and error-prone individual, incapable of delivering their Message in the way that they wished, and unsuited for the full task, is such a serious insult that it is tantamount to a slap in the face for the Masters. The main part of this present article consists of extracts from some unpublished letters of B.P. Wadia, in which the way that all true and reflective students of Theosophy view HPB is clearly shown and illustrated. Bahman Pestonji Wadia (1881-1958) better known simply as B.P. 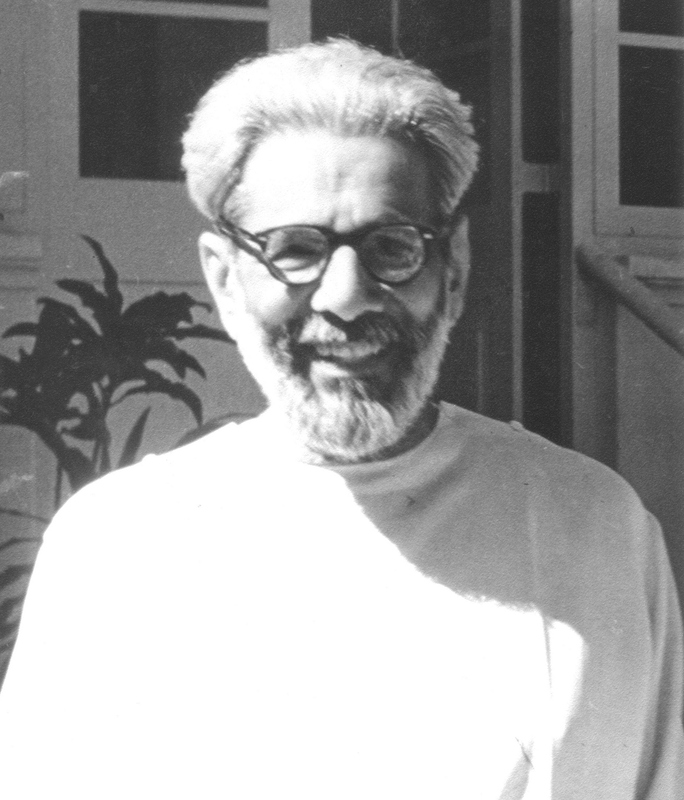 Wadia, played an influential role in the growth and development of the United Lodge of Theosophists (ULT), both in his native India and around the world. Initially a member of the Theosophical Society at Adyar, India, he was there an associate of Annie Besant and an avid supporter of the teachings and practices promoted by her and her colleague C.W. Leadbeater. Wadia, extremely disheartened at how HPB’s books and teachings had been pushed aside, neglected, and replaced by supposed psychic revelations and spurious claims, unhesitatingly left the Adyar Society when he learnt of the United Lodge of Theosophists. 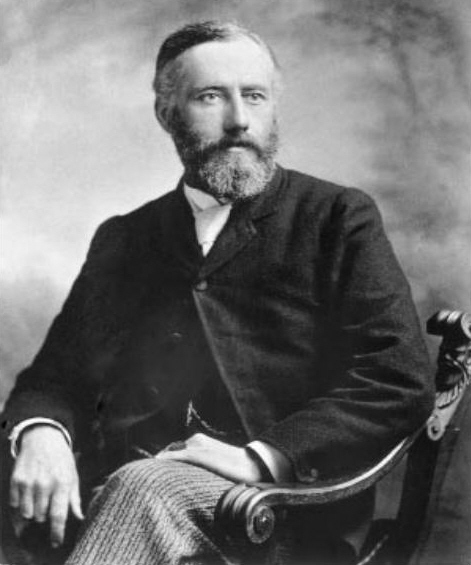 The ULT had been founded in Los Angeles in 1909 by Robert Crosbie (who had been a private esoteric pupil of HPB and a close friend and colleague of WQJ) with the expressed mission statement “To spread broadcast the original teachings of Theosophy as recorded in the writings of H.P. Blavatsky and William Q. Judge.” Wadia enthusiastically aligned himself with the work and mission that Crosbie had begun and ended up being one of the greatest and most influential blessings that the ULT – and the cause of Theosophy itself – had ever known. To understand the real H.P.B. is difficult and it does take time. Her avatara, appearance or personality was and is apt to mislead. The Masters Themselves wrote of her and Her and it requires some viveka [discrimination] to evaluate Their words and accord them the right place. What was hidden behind the “peculiar mannerisms” of her personality? She had a purpose every time – to help, to instruct, to guide, to protect; always an unselfish purpose founded upon Compassion Absolute (see the clauses in the Voice on pp. 75-76). The testing of people’s fidelity was rare. She wanted them to be faithful to the Teachings and to the Real Pitris and Masters. My own view is that as an Occultist she was deliberate and purposeful every hour and in every event. She was Dharma-pravin, knew not only what to say but also how to act. Her deeds were small and great yagnas, sacrifices. Holiness was in her heart. To my way of thinking she made no mistakes. The safe way to proceed is from the Teachings to the Teacher. No doubt H.P.B. baffles, but every time calm consideration reveals her as a Being of Light and Sacrifice, the Justice which is Mercy and Mercy ever just. Since she sacrificed – not so calling it herself – all that mankind holds dear to bring the glad tidings of Theosophy to the West, that West, and especially the Theosophical Society, thereby stands to her as a chela to his Guru, in so far as it accepts Theosophy. Her relation to these Theosophists has its being in the highest Law, and cannot be expunged or ignored. So those who regard her personality, and, finding it discordant from theirs, try to reach the Masters by other means while disregarding or underrating scornfully her high services, violate a rule which, because it is not made of man, cannot be broken with impunity. Gratitude and the common sentiment of man for man should have taught them this, without occult teaching at all. Such persons have not reached that stage of evolution where they can learn the higher truths. She who accepts the pains of the rack in the torments of a body sapped of its life force by superb torrents of energy lavished on her high Cause; she who has braved the laughter and anger of two continents, and all the hosts of darkness seen and unseen; she who now lives on, only that she may take to herself the Karma of the Society and so ensure its well-being, has no need of any man’s praise; but even she has need of justice, because, without that impulse in our hearts and souls toward her, she knows that we must fail for this incarnation. As the babe to the mother, as harvest to the earth, so are all those bound to her who enjoy the fruit of her life. May we try, then, to understand these occult connections brought about by the workings of Karma, and bring them to bear upon our diurnal, as well as our theosophical, life. 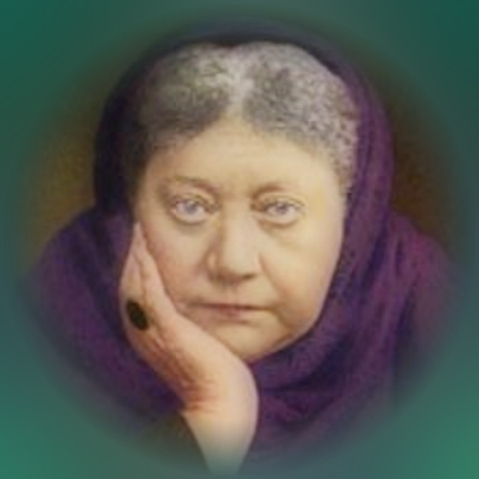 Madame Blavatsky is for us the next higher link in that great chain, of which no link can be passed over or missed. Woe is set apart – not by Masters but by Nature’s laws – for those who, having started in the path with the aid of H.P.B., shall in any way try to belittle her and her work, still as yet not understood, and by many misunderstood. This does not mean that a mere person is to be slavishly followed. But to explain her away, to belittle her, to imagine vain explanations to do away with what is not liked in that which she said, is to violate the ideal, is to spit back in the face of the teacher through whom the knowledge and the opportunity came, to befoul the river which brought you sweet waters. She was and is one of those brave servants of the universal Lodge sent to the West to take up the work, well knowing the pain and obloquy and the insult to the very soul – worst of all insults – which were certain from the first to be hers. “Those who cannot understand her had best not try to explain her; those who do not find themselves strong enough for the task she plainly outlined from the beginning had best not attempt it.” She knew, and you have been told before, that high and wise servants of the Lodge have remained with the West since many centuries for the purpose of helping it on to its mission and destiny. That work it would be well for the members of the Theosophical Movement to continue. Krishna is to be considered as not only representing the Self in all beings, but as a Divine Being embodied in a human form. Arjuna had asked to see the “divine form,” and having seen it, was awed by its grandeur and glory, and realized that he had conducted himself towards Krishna as a human being like himself, although of vastly greater learning; he therefore besought forgiveness for his presumption, and asked Krishna to resume the form to which he was accustomed. Here in this ancient scripture is pictured the fatal error made again and again by mankind in the failure to recognize a divine teacher when he appears among them in human guise. Buddha, Jesus, and many others before and after them, were treated by their contemporaries as ordinary human beings actuated by similar motives as the rest of mankind. They were opposed by the established interests, religious and otherwise, because the doctrines they taught were destructive of the hard and fast conclusions upon which those interests were founded; their speech and acts, although intended to instruct, enlighten, and benefit, were construed as violations of law and custom, and were frequently characterized as criminal in nature. Even among their immediate disciples, suspicion, doubt, jealousy, fear, resentment and self-interest were to be found, none of which could have had existence had the real nature of the teacher been understood. These conditions prevented the true relation between teacher and disciple which is so necessary to the latter if he would benefit fully from that relation. It is true that all the disciples learned something in spite of their defects, but it is also true that the lack of intuitive perception of the divine nature of their teachers was the most important factor in the failure of those disciples to truly transmit the teachings they had received; for that lack closed the door in themselves through which the divine enlightenment could come. Even Arjuna, loyal and devoted disciple as he was, had failed to perceive the wondrous nature of his teacher. It was not until that teacher by his favor and power had caused “the divine eye” in Arjuna to open that the ability to see on that plane of substance was gained. It is natural to suppose that Arjuna had by his unshaken confidence and constant devotion arrived at a stage of development where such help was merited. It might be well for students of Theosophy to consider whether they may not have made a similar mistake in regard to Those who brought the message of Theosophy to the Western world, and so kept closed the only door through which direct help could come. 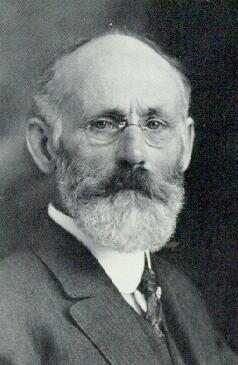 It would be strange and foolish indeed to presume that the disappearance in death of the physical bodies of H.P. Blavatsky and William Quan Judge resulted in those two great Souls suddenly losing their interest and concern regarding the Movement they had founded and the individual and collective progress and development of Theosophists. Their help and assistance is given where the channels of heartfelt trust, respectful appreciation, and intelligent devotion are left open to allow and enable such help and assistance. But how and why could they offer such assistance to those who ignore, reject, belittle, and criticise them and who remain wilfully ignorant and dismissive of the vast Teaching they have given out to the world, preferring instead the diluted distortions and sheer deceptions offered by later “Theosophists”? The very “vibration” of such unfortunately misguided individuals shuts off and prevents all possibility of connection. In this 21st century, however, there are certain students of Theosophy all over the world who know beyond a shadow of a doubt that HPB and WQJ are just as alive and active today as they were 120 years ago, albeit no longer seen with physical eyes but sensed and known by the inner vision of the soul.